Good news everyone! 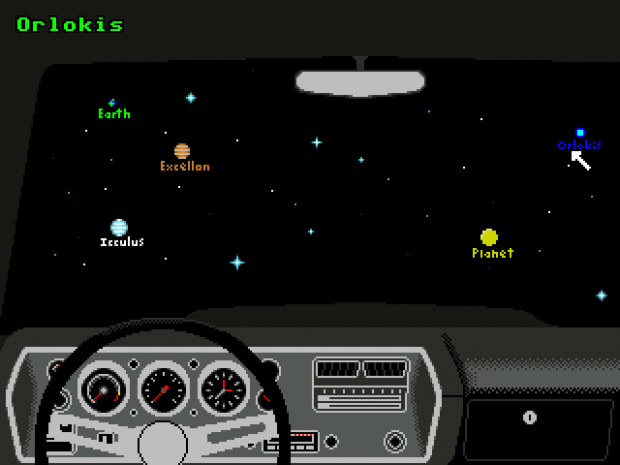 Looks like there is a brand new adventure game for DOS coming – Chuck Jones: Space Cop of the Future. You can read more about pitfalls of developing a game for DOS at dev blog. You play as Detective Chuck Jones (no relation to the animator of the same name), a rough and tumble LA cop in the year 1976. While involved in a high-speed chase you have a car accident and are heavily wounded. 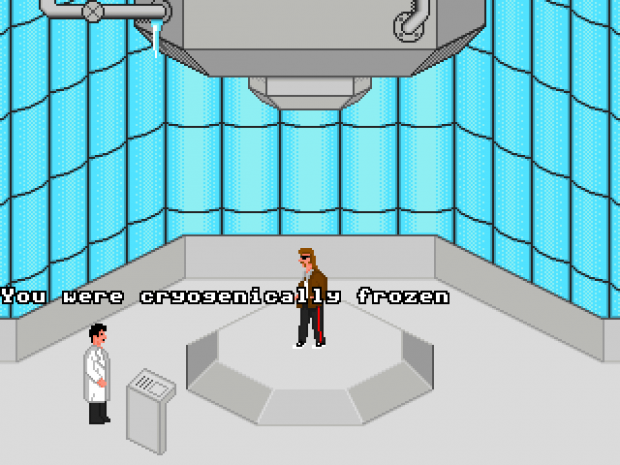 To avoid death you are cryogenically frozen, many years in the future you are unfrozen and must track down and apprehend a dangerous criminal in a strange time by flying around the galaxy in your rocket powered El Camino, meeting interesting characters and solving puzzles.